LP has always looked like me. From the moment she was born with a full head of bright ginger hair, to the toddler with bunches. And now, LP is five, with long straight hair just like mine used to be. She’s so petite and has my eyes. I know, looking at her, that she is a little version of me – I can’t see much of her Daddy in her – but her nature is definitely her own. But LP loves looking like Mummy. She loves that we have the same hair and that she can draw us using the same colour crayons. She loves to play Mummy too and will always mother her toys – and her brother – when I’m at work. 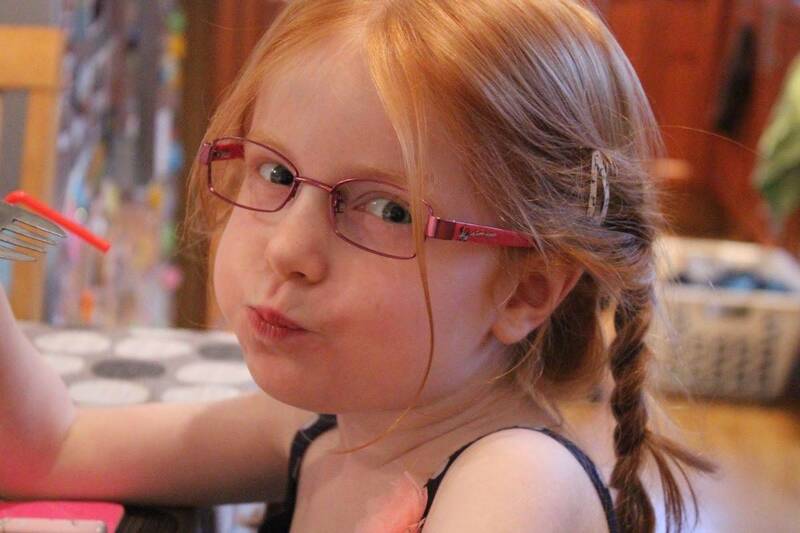 But, one thing LP loves more than anything is to wear glasses to be like Mummy. She sees them as the best fashion accessory and since getting a pair of Minnie Mouse frames, minus the lenses, she wears them as much as she can, loving that she looks just like me – in miniature. These photos aren’t the best, I took them quickly at dinner – when LP refused to take her glasses off and insisted on sitting next to me too. But, the photos sum up LP, looking just like me and loving every minute of it. It’s so funny, as looking at her, with her glasses on, is like looking at me when I was that age. 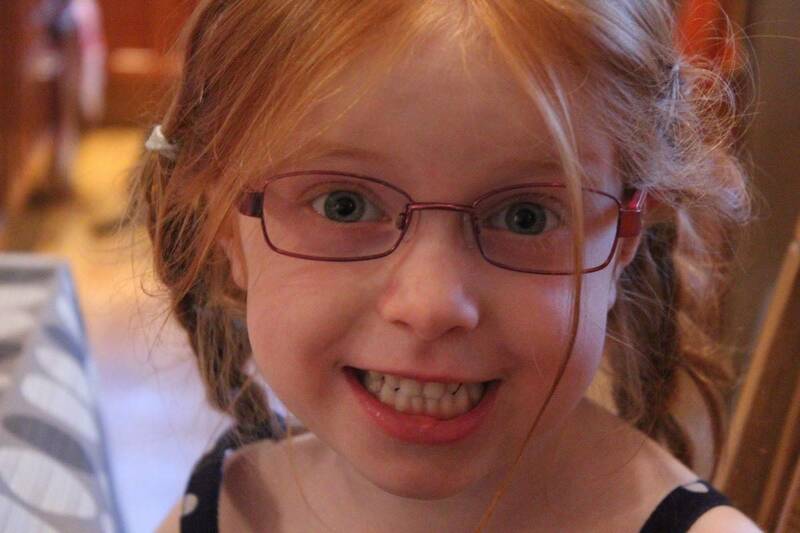 I used to have my hair in bunches, wear my NHS specs and would constantly have a smile on my face. But, I hated wearing glasses so I love that LP really likes to wear them, even if she doesn’t need to wear them. She thinks that glasses are the best thing ever and I think that must do wonders for the confidence of her school friends who do wear glasses. If only I could have been more like LP when I was five! Little M is getting his first glasses on Monday and we are hoping he doesn’t mind wearing them all the time, especially at nursery. I should have worn glasses when I was younger to improve my eyesight but my parents were worried about me being bullied at school, so my eyes didn’t get better. I am sure it wouldn’ have been a problem as at the time I was also going to ballet lessons – so having a patch on one eye wasnt likely to be my biggest challenge at school! Lol. Donna I love her specs and she looks so cute in them! Oh they’re adorable photos and she does look so much like you! Libby adores her glasses too, it’s such a relief. LP looks fabulous with glasses, so swwwwet.